30 days ago, Amazon announced that it was in the process of assorting Apple TVs and Chromecasts to start selling them again. 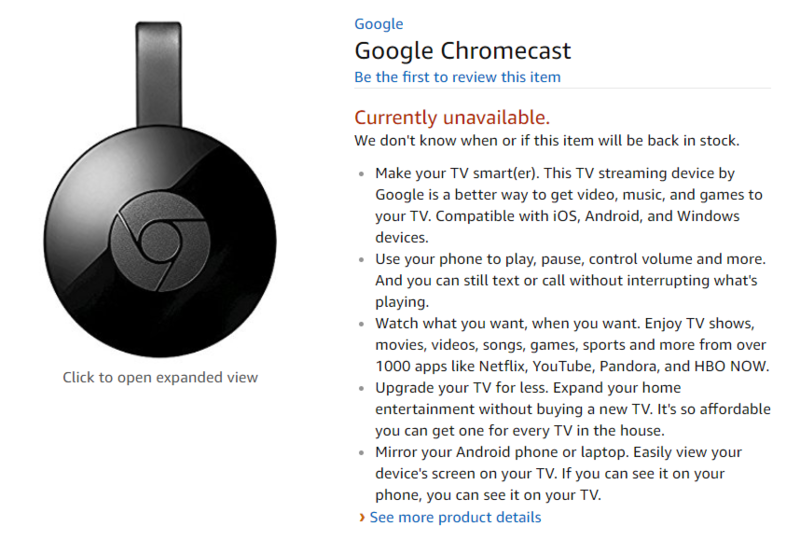 Since then, the Apple TV and Apple TV 4K have been available and sold on the site, but the Chromecast and Chromecast Ultra are still showing as "Currently unavailable" from Amazon, with no third-party sellers at all. 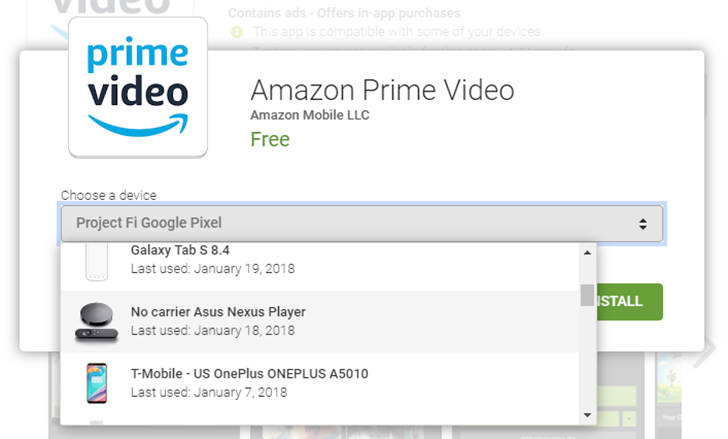 Even searching for "Chromecast" on Amazon doesn't bring up the product pages linked above, you'd have to know the URL to see them. We've reached out to Amazon several times over the past weeks to ask about this and to inquire about an exact availability date, but were told there were no details to share. Like Netflix, Amazon has taken to creating more than a few original series, the most famous of which include The Grand Tour, Mozart in the Jungle, and The Man in the High Castle. One of the newest shows coming out of Amazon Studios is The Marvelous Mrs. Maisel, which was released just over two months ago but has already won two Golden Globe Awards. To celebrate this, Amazon is making the show free to watch for several days, starting right now. It's too bad it's not watchable via Android TV. 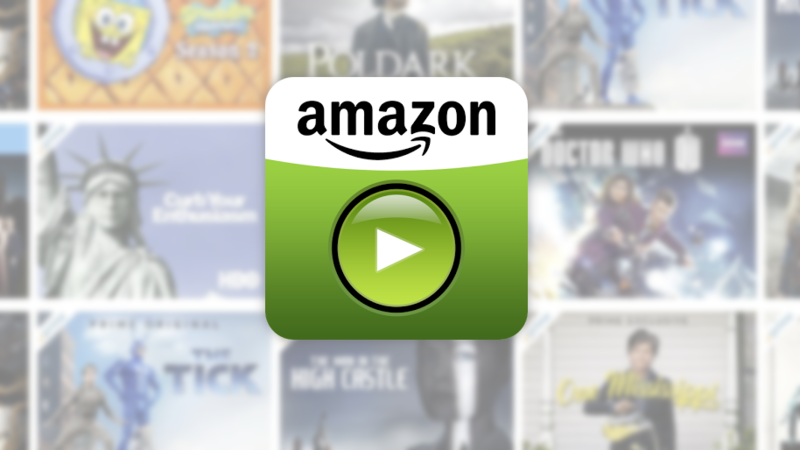 According to AdAge, Amazon may be making an ad-driven "complement" to its Prime Video streaming service. 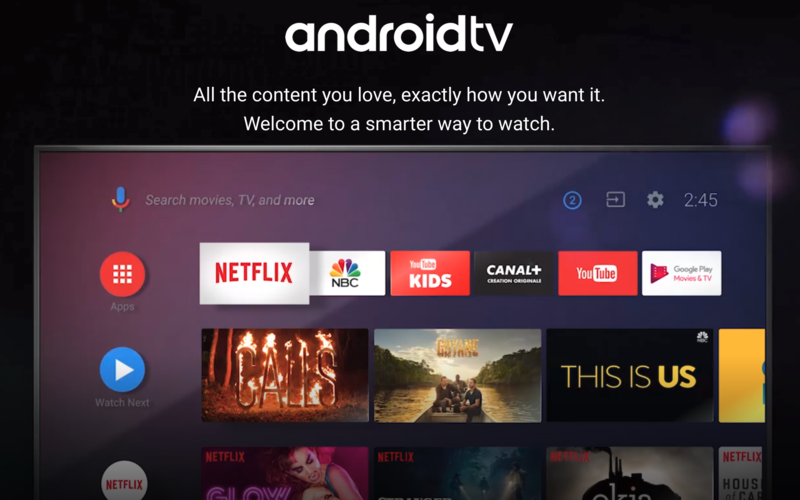 This could be huge news, as a video service that's free in any form could be a significant disruption to the current streaming status quo. That is, if it's true. 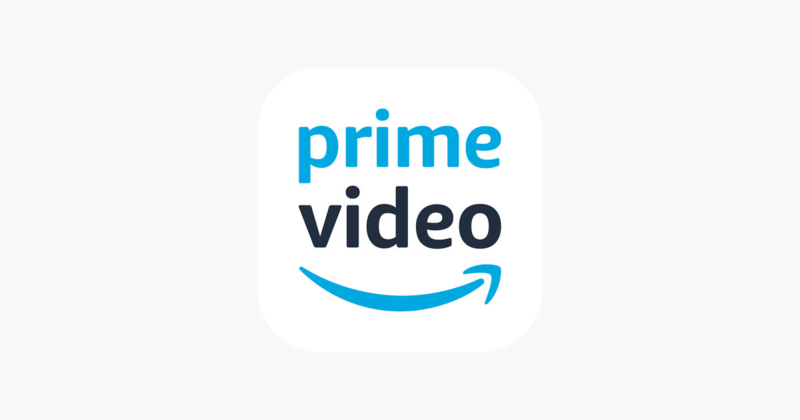 Amazon has told other outlets that it isn't working on an "ad-supported version of Prime Video." However, based on the details reported by AdAge, that might not be a denial. Sometimes you can't stomach the idea of paying a big yearly subscription price upfront, either because it feels like a big expense or because you're not ready to commit for a full year to a service that you're not sure you'll enjoy in a couple of months. That's why, despite having to pay a little bit more, companies offer a monthly subscription to make it easier for users to pay in small increments and feel like they are free to walk away anytime they want. Amazon's Prime subscription used to be a yearly affair: pay $99 and get all the services for 12 months straight.